Melbourne, Australia – 2nd April 2018: Panasonic’s AU-EVA1 is a great Super35 cine camera with excellent low light capabilities – winning wide-spread acclaim since its launch last year. Now users will be able to unlock the true potential of this amazing camera and its low noise sensor by combining it with the Atomos Shogun Inferno HDR monitor/recorder, thanks to the release of Panasonic’s free RAW output upgrade. The results take the camera to another level of performance, giving you images with maximum dynamic range in pristine quality. You’ll soon be able to capture stunning 5.7K RAW imagery direct from the sensor at up to 30 fps over the 6G SDI connections and record it to reliable, affordable SSD media. Full details will be revealed by Atomos at the NAB 2018 show this month. In 4K resolution you can record up to 60fps from the RAW output in production ready Apple ProRes, Avid DNxHR, or CDNG RAW up to 2Kp120 or 4Kp30. The resulting frames are super clean, detailed and capable of withstanding heavy grading. The Shogun Inferno also supercharges the EVA1’s slow motion performance. It can record the RAW output at up to 240fps in 2k/HD , direct to Apple ProRes or Avid DNxHR. Perfect for sports, wildlife and a wide range of other uses. All these features will come in an AtomOS upgrade for the Shogun Inferno and Sumo19 to be released at NAB April 2018. This will be offered for free as part of our continuing commitment to our users. 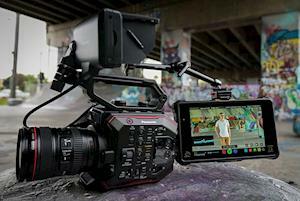 the price point on the market today.” said Atomos CEO Jeromy Young. Of course, recording is only half of the equation, accurate monitoring is also essential. Luckily the Shogun Inferno also offers state of the art monitoring for both HDR and SDR recording with its 7” 1500nit high brightness panel with the Sumo19 at 19” and 1200nits. 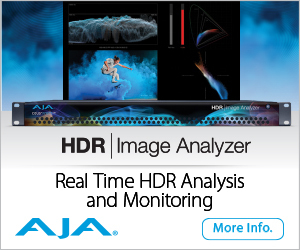 Take the guesswork out of exposure in HDR or Log with our unique AtomHDR system which shows a massive 10+ stops of dynamic range on either screen. The display is colour accurate and can be calibrated over time using a X-rite i1Display Pro probe. Benefit from AtomoOS’ full range of monitoring tools like waveform, vectorscope, false colour, audio level meters and pixel-to-pixel magnification. You can also load and store LUTs directly into the Shogun and Sumo for complete creative control, production to post. With HDMI or SDI you can output your footage in 4K PQ (HDR 10) or HLG HDR direct to a compatible television or monitor for instant preview using our AtomHDR engine – great for on-set use or client review. When used with the EVA1 no other external monitor recorder will give users the extensive range of options available from the Shogun Inferno and Sumo19. It remains the most versatile, flexible and cost effective solution for high end external monitoring and recording on the market today. 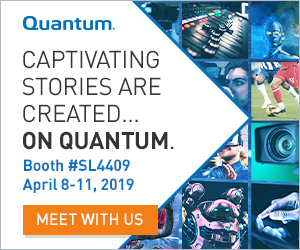 If you are attending the NAB Show then be sure to come and check out the EVA1 and Atomos RAW capabilities in person at Booth C9425. Atomos exist to help creative professionals cut through technology barriers by creating easy to use, cutting edge products including 4K & HD Monitor-recorders, a pocket size Apple ProRes recorder, signal converters & power management solutions. 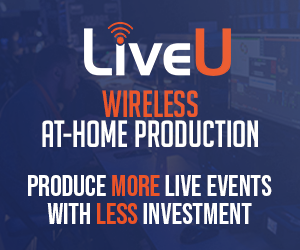 Each product serves a different need but all share the common benefit of enabling a faster, higher quality and more affordable production schedule for video professionals.